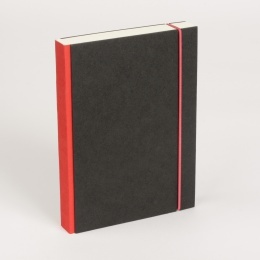 The sketchbooks from our INSPIRATION series in different sizes and paper weights feature perforated pages for easy removal and a black or red elastic strap for closure. 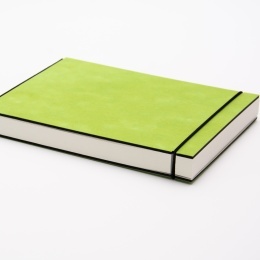 A clever binding technique allows the book to fold back on itself and to lie completely flat when open. 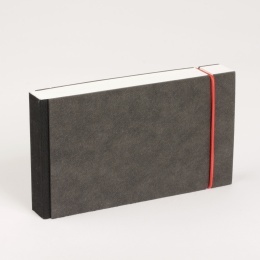 Our sturdy sketchbooks are all handmade and available in many different sizes. 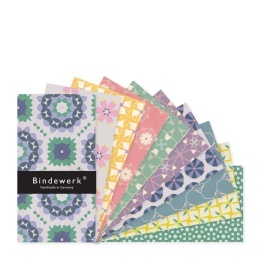 The book blocks are thread stitched and made from premium white sketching paper in either 120 g or 160 g (all blank).